The Follow Up To DMC Magazine’s 'The Best Ibiza Album Of 2014' Award. A Selection Of The Finest Tunes Making Waves On The White Island. 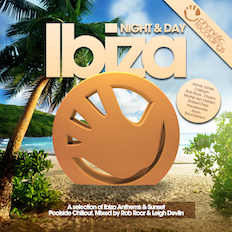 Mixed Seamlessly By Ibiza Legend & Label CEO Rob Roar, With Leigh Devlin Of Minus Blue Fame On The Day Mix. The Tracklist Reads Like A Who's Who Of House Music Including Tracks From Jamie Jones, Cristoph, Robert Dietz, POPOF, Chaim, Kevin Saunderson, Martijn Ten Velden, Rodriguez Jr, The Slacksons, DASCO, Elevator Suite, Childs & Moore And Rob Roar Himself.